What's the Difference Between a Wi-Fi Repeater and Wi-Fi Extender? Wi-Fi repeaters and Wi-Fi extenders perform the same job, but do so in different ways. And even though these devices often used interchangably, they are different devices that go about their jobs differently. A Wi-Fi repeater connects to your existing wireless network, and then rebroadcasts that network into a wider area. A Wi-Fi extender connects to your existing network through a wired connection, and then broadcasts the network to another area in your home. The ultimate purpose of these two devices is the same, but the way they work is quite different. A Wi-Fi repeater, always known as a network repeater, uses its own built-in wireless technology to connect to your home's wireless network. Plug the repeater into an outlet in a corner of your house that has a weaker wireless signal. Connect to the Wi-Fi repeater with your laptop and configure it to log into your home's wi-fi network. The repeater connects to your network, and rebroadcasts it to a new, wider area with a much stronger signal. Wi-Fi repeaters are generally cheaper than Wi-Fi extenders. They are also easier to set up and configure because you can place them anywhere in your home, even if there's no wired network port. Just be careful not to place them too close to electronic devices that emit microwave or radio signals, since those devices often interfere with the repeater wireless signal. While Wi-Fi repeaters will strengthen the wi-fi signal in a new area of your home, there's also a tradeoff. 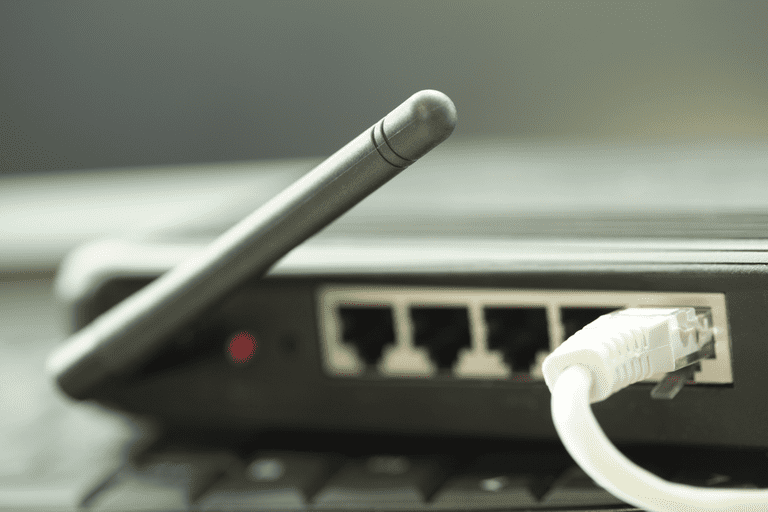 It creates an entirely new wireless network you'll need to connect to, and it will reduce the available bandwidth of that connection up to 50%. A Wi-Fi range extender also extends your home network into areas of your home that may have a weak wireless signal. However, there are a few very important differences between an extender and a repeater. How do Wi-Fi extenders work? The following are things that make Wi-Fi extenders different than Wi-Fi repeaters. A Wi-Fi extender is ideal for those scenarios where you have areas of the house where your wireless network is completely dead (these are known as "dead zones"). This might be because it's a location that's too far from the wireless router. Or it could be a room (like a basement) with walls made of materials that block Wi-Fi signals. The benefit of an extender is you don't need an existing weak wireless signal for it to work. You don't need any wireless signal at all. While shopping for a Wi-Fi repeater or extender, you may come across other terms, like Wi-Fi booster or Wi-Fi amplifier. Both of these terms are used to describe the entire range of Wi-Fi repeaters and extenders on the market. This is because both families of products ultimately boost or amplify the Wi-Fi signal. These terms are all used interchangeably. If you ever want to confirm whether the device is a Wi-Fi repeater or a Wi-Fi extender, ask if it "rebroadcasts" a router's existing wireless network (repeater), or whether it plugs into a wired port and creates another wireless hotspot (extender).